2. Pat salmon fillets with a paper towel until they are completely dry. 3. 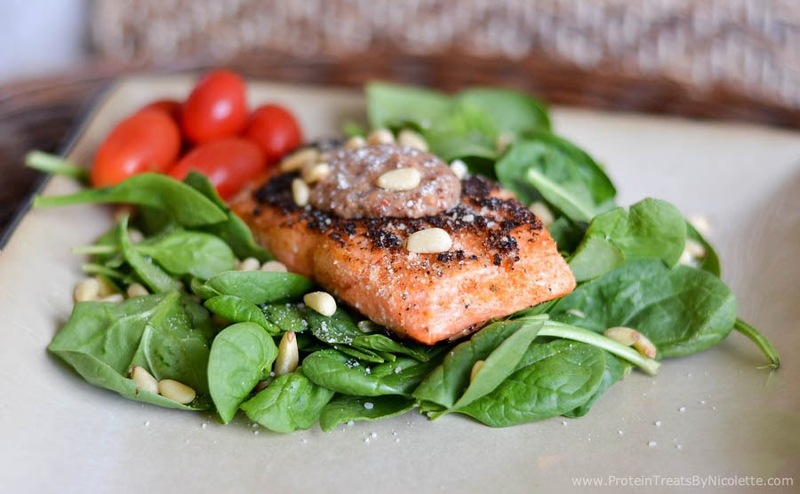 Evenly brush salmon filets with olive oil. 4. Mix together seasoning of choice and parmesan cheese then sprinkle each filet with mixture. 5. 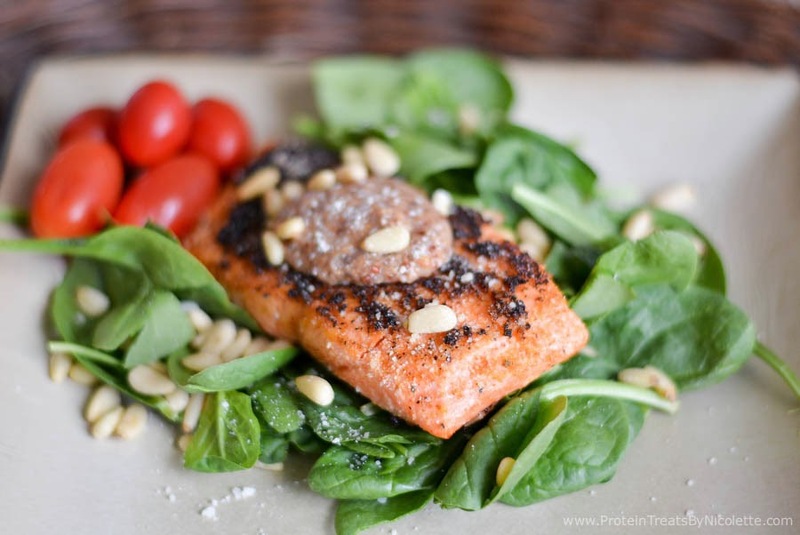 Cook salmon filets, skin side down first, on the skillet for 4-5 minutes. Flip salmon and cook on the other side from 1-2 minutes. 6. Let salmon sit for 5 minutes then serve immediately. *I served mind on top of spinach with roasted pine nuts, spicy mustard, cherry tomatoes, parmesan cheese, and balsamic vinaigrette. I love salmon! What a tasty dish!